Are you looking for tools to help students visualize healthy food choices? Or looking for applications for math, science, or nutrition lessons. 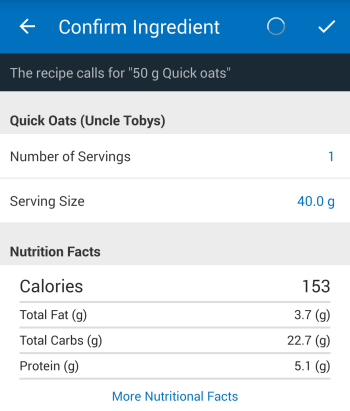 You might look into checking out one of my current favorite apps, MyFitnessPal. 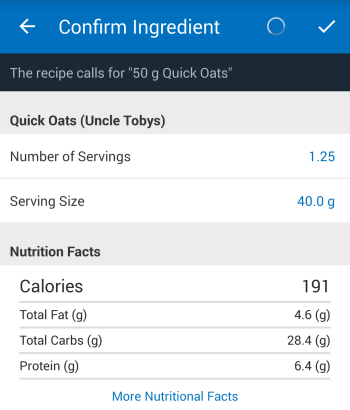 MyFitnessPal is a free app that allows users to track daily food intake and exercise. The large nutrition database includes over 5 million foods, which makes it easy for users to analyze nutrients, calories, vitamins, track patterns and find out what their diet is missing or what needs to be adjusted. 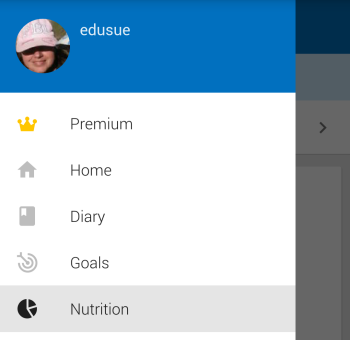 While MyFitnessPal was developed people who want to lose weight or maintain a healthy style, it is a handy tool to use with students as it allows you to quickly compare the nutritional value of different meals and food. Below’s an example of how you could use it with your students. Most of us are aware that breakfast is the most important meal of the day and yet many miss breakfast or don’t eat enough breakfast. Breakfast should make up 1/4 to 1/3 of your daily calorie intake — but most adults each less than 265 calories and don’t eat a balanced breakfast. Start by surveying your students to identify the most commonly eaten breakfast foods. A Google Form is a good way to collect and analyse the data with students. Once you’ve compiled a list of the most commonly eaten breakfast foods you can get students to make predictions on the nutritional value of each breakfast in terms of carbohydrates, proteins, fats, sugar, vitamins and calories. Now it’s time to compare the food using MyFitnessPal. You can do this using their website on your computer or their app on a mobile device. 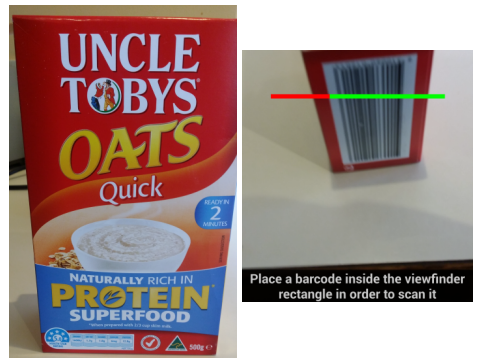 My personal preference is using the app on a mobile device because it allows you to scan the barcode to quickly pull up the nutritional information for the product — which students will enjoy. 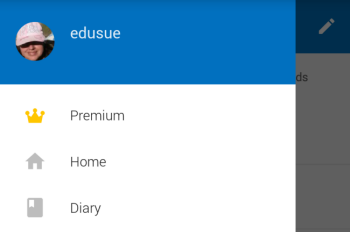 To get started create a class account on MyFitnessPal and either log into your account using the browser on your computer or using the app on your mobile device. 2. 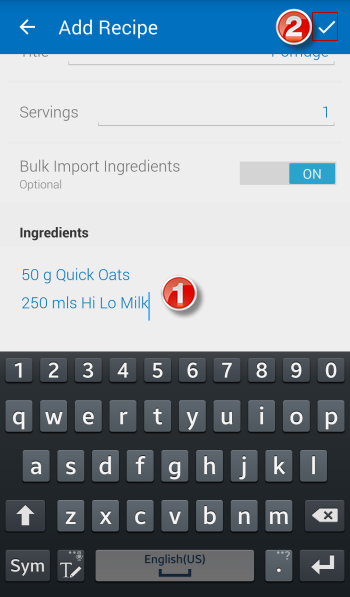 Tap on the + symbol and then tap on Enter Ingredients Manually. 3. 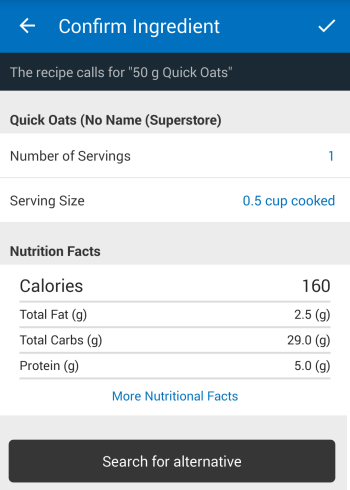 This launches Add Recipe screen. 4. 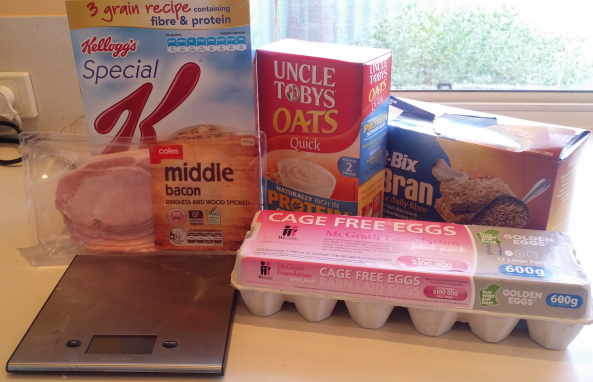 Enter the breakfast food title, number of servings and turn On Bulk Import Ingredients. 5. 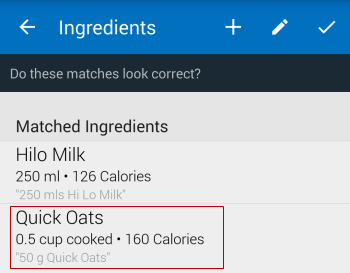 Add the ingredients and then tap on the Check mark icon at the top. 6. 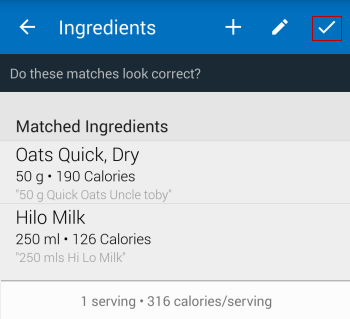 The app checks against the MyFitnessPal database and displays the ingredients that best matches your ingredients. 7. Tapping on an ingredient displays its nutritional information. 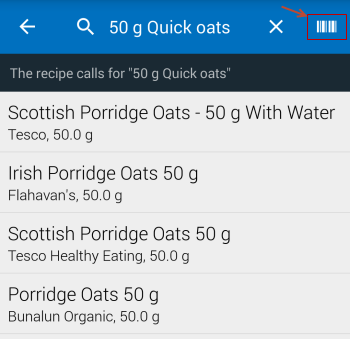 You can also search for alternatives which allow students to scan the bar code on the ingredient to access the exact nutritional information for that ingredient. Tap on ‘Search for alternative‘. This loads the ingredient’s nutritional information. 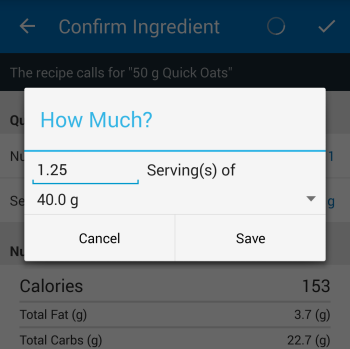 Tap on ‘Number of Servings‘ to increase the serving size. Tap on the Check mark icon at the top to confirm the ingredient. 8. 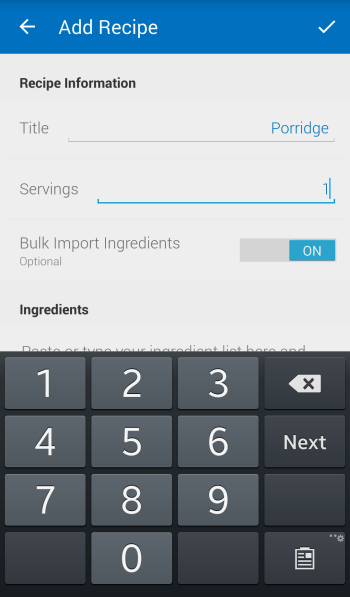 Once all ingredients have been checked tap on the Check mark icon at the top to confirm the ingredients. 9. Now tap on Save to save the recipe. 10. Repeat this process to save Recipes for all the commonly eaten breakfast foods. 2. Tap on Add Food under Breakfast. 3. 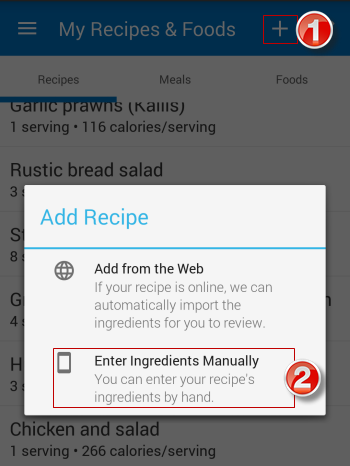 Tap on the Recipes tab and search for the recipe you want to add. 4. Tap on the recipe once it has been found to add it to your breakfast. 5. As the food is added you’ll see an alert if the food contains healthy nutrients or a warning if it contains nutrients you need to limit. 6. Tapping on the calorie information next to the food displays the nutritional information. 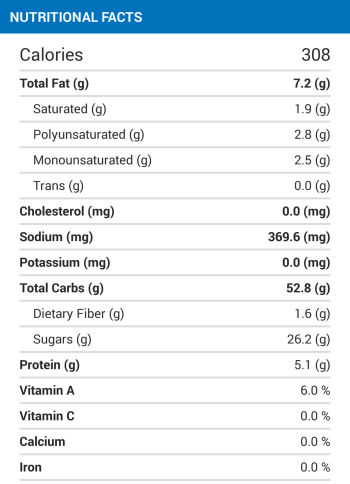 Below is the nutritional information on a serve of Porridge. 7. 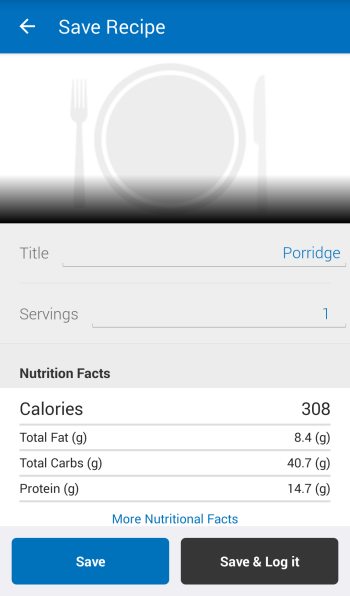 Tap on Nutrition for more detailed data. 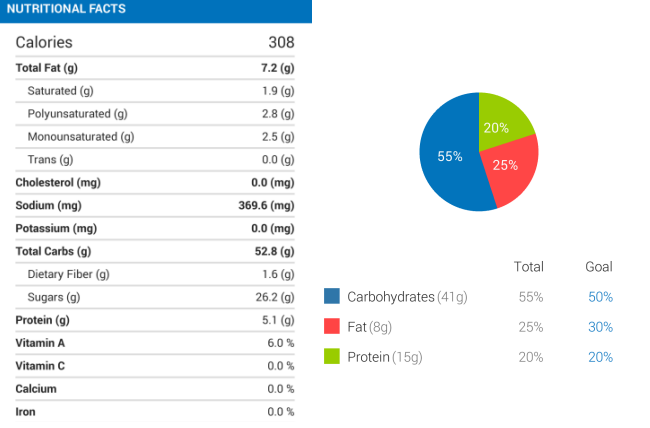 Below is a breakdown of % Carbohydrates, Fat and Protein in Porridge. 8. Repeat this process to compare all commonly eaten breakfast foods. 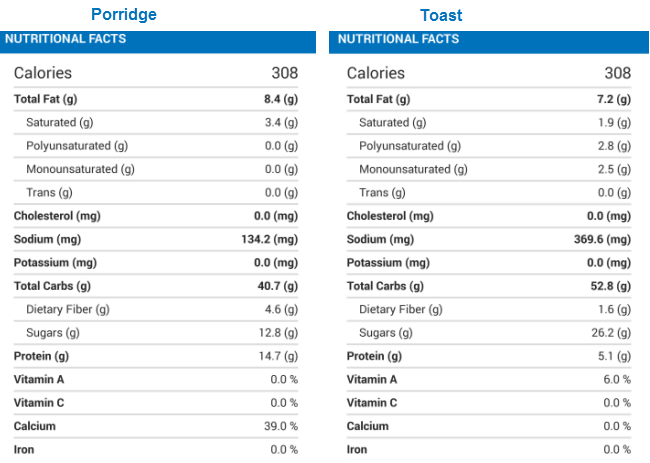 Below is a comparison of porridge (50 g Quick Oats and 250 mls Hi Lo milk) vs toast (2 slices white bread with margarine and honey). 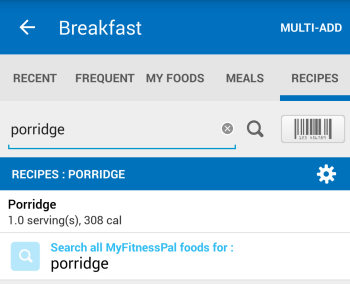 MyFitnessPal can be connected to a wide range of other apps including Fitbit. 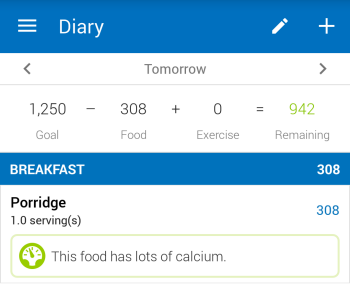 If you have a Fitbit or another fitness tracker that tracks steps you can connect it to MyFitnessPal to show how exercise impacts on the amount of food you need to consume. 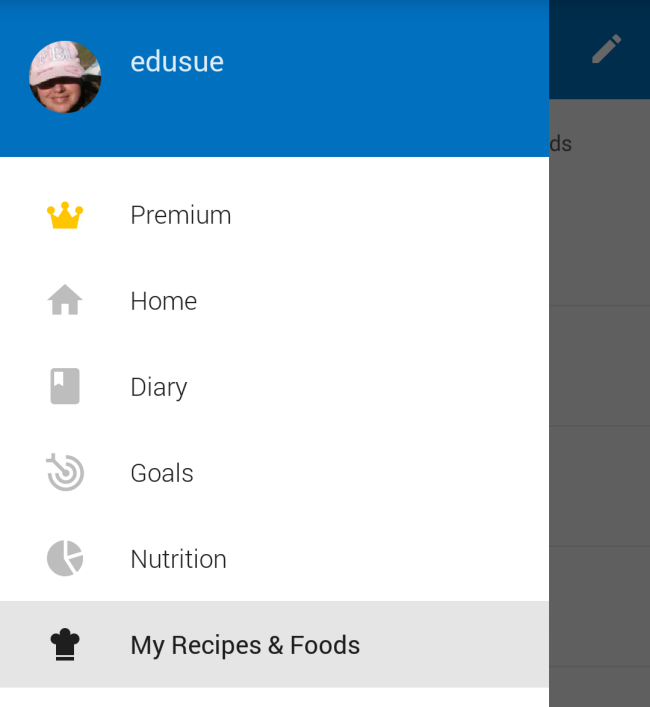 There are so many different ways you could use MyFitnessPal with your students. What are your ideas? Let us know in the comments below! Great Idea! I’m going to share this with a few friends that teach Physical education and health. 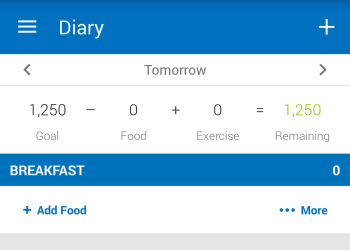 I have heard of this MyFitnessPal app awhile ago, but I had recently forgotten about it over time. Thanks for reminding me, this tool does seem to be very helpful in tracking one’s health and monitoring their progress over time. 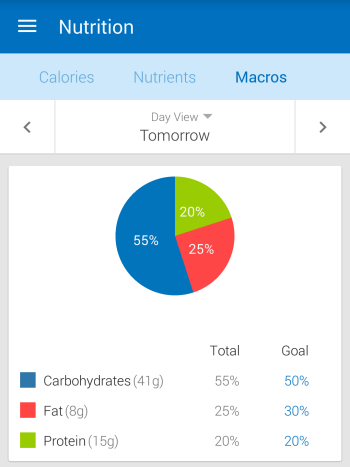 This app should definitely be considered by more people because it is a very smart idea to check in on your nutritional progress and hopefully set a desired goal. All in all, this is a great piece of work that is informational and should also have a chance in persuading people to utilize this very assisting tool. i’d say to tread lightly on this one. especially since they are reconsidering the way we count calories from different food types. apparently not all calories are created equal. also, teaching kids to have a compulsive focus on calories might fuel a bigger epidemic of eating disorders. body image is already a big enough issue for so many people. so if you’re thinking to use this app, be prepared to deal with the continued/increased bullying/harassment based on body shape/size. be cognizant of using judgmental terms regarding body shape/size and especially emphasize that appearance and overall health are two different categories that are not necessarily indicative of each other. when you talk health with your students, relate it to things like immune system, healthy functioning of the body systems. i’m not saying this app is not useful or that it inherently suggests unhealthy ideas about body image. but, considering that you’re possibly going to be using devices that have the ability to also deliver social messages from student to student, this may be more powerful than the old calorie-counting calendars we used to fill out on paper. what might be an effective tool for self-introspection, with bullying/teasing could become another hit to self-esteem. the best of teachers can probably take this app and use it to educate students about healthy habits for a happy life. without thoughtful use, i believe this may promote some commonly misguided ideas about nutrition, and at worst, impact self-image in some negative ways. Yes- and the fact that you must be 18 years old to create an account. The guidelines in MFP are for adults. And they ridiculously prioritize calories above all else. You can enter in a desired weight and it will tell you to only eat 900 calories a day– not cool.